The Toshiba CB-416-T3 has been discontinued. No direct replacement is available. 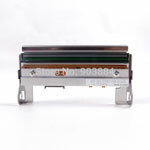 Color barcode printing on demand at a fraction of the cost of professional printing. 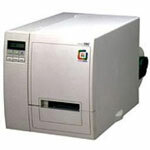 The CB-416-T3 color thermal barcode printer is ideal for short runs of customizable color labels. With a wide variety of ribbon and media choices, durability is never a problem for the CB-416-T3. This single pass, 4 station color process printer is powerful and easy to maintain. Capable of printing at up to 6 ips, the CB-416-T3 is lightning fast and versatile. This 305 dpi printer is capable of printing up to 4 inches in width along its straight-through paper path. TEC's exclusive FETHR head technology permits lighter head pressure on a wide range of stock, automatically adjusting to the media thickness while maintaining consistent, high-quality print.